There is no mistaking the undeniable appeal of the Audi Q7. It is a beautifully crafted machine, inside and out. 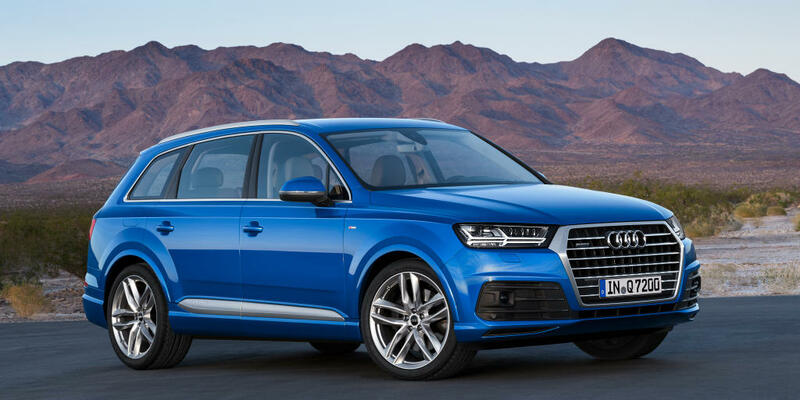 With groundbreaking technology and a series of industry firsts, we understand why Q7 sales have shot through the roof. The Q7’s advanced driver assistance features like the Traffic Jam Assist, adaptive cruise control, and predictive efficiency assistant are so technologically advanced they require 4 Nvidia Tegra processors and the first FlexRay optical fiber data bus put into an SUV. That’s a fancy way to say if you want a bitchin’ SUV that is probably smarter than you, look no further than the all-new 2017 Audi Q7. As we’ve said before, your decision to buy a premium brand SUV probably means you’re less concerned with the value per dollar spent. That said, considering the Q7 performs comparably to the more expensive Porsche Cayenne, it’s not a bad choice. If you are concerned, you may want to look at the Acura MDX, which is quicker to 60 mph than the 3.0T Q7 and comes loaded with standard features that are quite costly on the Q7. It has the agile handling of the Q7 as well, making it an absolute steal in the luxury midsize SUV segment. At a $49,000 starting price, the 2.0T Premium trim level provides adequate performance with class leading comfort and refinement worthy of the four rings. At $55,500, perfection doesn’t come cheap. However, that’s exactly what the 3.0T equipped Q7 represents. Audi puts the sport back in sport utility vehicle with the second generation offering. A myriad of available technology, luxury, and appearance options pushes the price closer to $70,000. Yes, that’s a sizeable sum of money, but that’s the base price of the Range Rover Sport, considered by many to be the benchmark of the midsize luxury SUV segment. The Q7 exceeded all expectations in the performance category. The last generation was great, this is damn brilliant. Audi’s award winning Quattro all wheel drive system is standard and inspires confidence at every turn. Agile, sedan-like handling combined with a jet like cockpit give the driver unparalleled control. The base 2.0L inline 4 is better suited to the Q7’s scaled down kin, the Q3 and Q5. The 333 horsepower supercharged V6 is the more preferable powerplant that pulls the two and a half ton behemoth to 60 mph in just 5.7 seconds. That’s a mere .3 seconds slower than the Porsche Cayenne S, which has a base price higher than a lavishly optioned Q7. Fragments of a second are worth sacrificing if you need a the third row that’s unavailable in the Cayenne. We make the comparison because future Cayennes will share the Q7’s MLB evo architecture. This platform also underpins the Audi A4, A8, Volkswagen Touareg, Bentley Bentayga, and Lamborghini Urus; we welcome some heated sibling rivalry. The suspension is firmer than average for the segment and you may feel the consequences at low speeds on rough surfaces. A $4,000 air ride suspension and 4 wheel steering package is only available on the Prestige trim level. This would allow you to adjust settings and lower and raise ride height ad infinitum to find a more comfortable ride on that bumpy road. However, if you’re like us and would gladly trade a few bumps for track ready responsiveness, the “adaptive chassis package” is frivolous. The brakes are quite good and allow the Q7 to stop from 70 mph in 166 feet, shorter than most competitors. Fuel economy is efficient for a vehicle of this size at up to 20 mpg city and 27 mpg highway. These factors combine to create a high performing Audi SUV that challenges even the most expensive luxury midsize SUVs. Considering the Q7’s blistering performance figures, one might assume there were sacrifices made in terms of cabin comfort. Audi surprised us with one of the quietest cabins tested all year, though we can’t be sure how many virgins were offered to Cthulhu by Audi engineers to achieve auditory excellence. With all the political turmoil and stress of modern day life, let the Q7 be your “safe space.” Optional massaging seats are eager to melt away the day’s stress. Let the sounds from the exceptional Bose sound system quiet all those thoughts running through your mind. The soft, supple, surfaces throughout are soothing to the senses, a pleasant side effect that reminds you of your success. Push button start, a panoramic sunroof, two USB ports, a rearview camera, and Audi’s MMI infotainment system all come standard. New for 2017, Audi’s Virtual Cockpit is optional and trades outdated analog gauges for personalised 12.3in digital display. This is especially useful for the directionally challenged, as the navigation function can be displayed directly in your line of sight. Like other Audi’s, google earth is compatible with the navigation software, ensuring accurate identification of your destination with no graphic guesswork. Do you hate traffic as much as every other human? Audi is ecstatic to offer Traffic Jam Assist on the Q7. At speeds less than 40 mph, the Q5 will essentially drive itself, moderating speed as necessary, even steering as necessary. To do this Audi uses radar to detect the distance and speed of the vehicle in front of you and uses the camera to identify lane markings and potential hazards. With this information and a well paved road, the Q7 will drive itself in congested conditions, leaving only the fun driving to you! The appearance of the Q7 had remained largely unchanged for the better part of a decade since its release besides a mid generation facelift. The 2017 model marks a complete remodel from the previous generation. The styling is decidedly more muscular than other Audis. Where most models have softer curves, the Q7 has bold lines. The effect leaves the Q7 looking a bit more boxlike than the Q3 and Q5, not necessarily a bad thing. It costs considerably more than these models and should be distinguishable. The wide, squat stance belies its sports sedan like performance. The shape is similar to the Bentley Bentayga, another Volkswagen Group offering that costs substantially more. The large front grille makes the Q7 look mean and also serves a practical purpose: providing better airflow to the engine. If you are looking for a family hauler with bold styling and a sporty edge, the Q7 has you covered. Consumer Reports awards the Q7 with the second highest predicted reliability rating of luxury midsize SUVs. Only the Lexus GX is rated higher. Audi has vastly improved their reliability reputation over the last decade. From JD Power, the Q7 obtained a 2.5 out of 5 rating, the second lowest possible. This probably has less to do with the functional reliability of the Q7 and more to do with the multitude of recalls issued by the NHTSA. The first recall is identical to the one affecting the Q5. There is a plastic flange that covers the fuel pump that is liable to crack and cause fuel to leak. The dealer will fix the problem free of charge. The second recall issued constitutes part of a recall for other models’ airbags. The Q7’s airbags are fine, however, the seat belt tensioner may not work properly. The third recall issued is for the power steering not working properly. There are only eight possibly affected units, so chances are slim the one you’re looking at is affected. The fourth is a software issue that causes the side mirror indicators to shut off when parking lights are engaged. This can be remedied with a free software update from the dealer. The fifth recall is for an unsafe third row. Apparently, the third row is liable to slide forward “under load,” which means it moves in the event of an accident. The dealer will add a bracket to reinforce the third row at no cost to you. The final recall is for “excessive force” of airbags. Like a cop shooting an unarmed teenager, the airbag may blow up in your face for seemingly no reason. This issue can be fixed with a simple, free software update from the dealer. The Audi Q7 received the highest marks possible from the Insurance Institute for Highway Safety, which surprises no one. The Q7 also comes standard with a front collision prevention system with automatic braking, an available option on some other models. It can, for instance, detect the presence of a pedestrian in your path and brake for you, preventing you from becoming a murderer. Thanks, Audi! There are many more driver assistance features that help the Q7 rate high in safety like blind spot monitoring, lane departure warning, and rollover protection. Additionally, Audis, like all other German vehicles, are designed to be driven at extra-legal speeds. 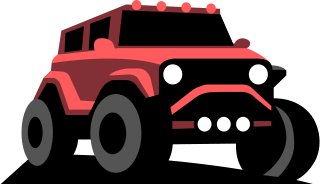 This generally makes them sturdier than much of the competition, a thought worth careful consideration when deciding whether a German branded SUV is worth the money. The luxury midsize SUV segment is pretty crowded. There are many potential competitors to the Q7. The X5 is often cited as the most competent. We disagree, we’re unimpressed with the X5’s latest generation and it is simply outclassed the Q7. The Range Rover Sport is probably worth considering, but if you want a Range then you will probably buy one. No amount of maintenance nightmares and buyer bewares will stop you. We’re not knocking that, we love driving Range Rovers but the Sport is less efficient, doesn’t handle as well, and costs considerably more. Our pick to compete head to head with the mighty Q7 is the exquisitely redesigned Volvo XC90. The standard T5 model closely mimics the 2.0T Q7 in terms of value and performance, while the T6 trim level is similar to the 3.0T Q7. Finally, the T8 plug in hybrid is priced similarly to a prestige packaged Q7 at $69,095. In interior quality, fit, and finish, we put this swede on par with the Audi. The seats are supportive and comfortable, made of fine Nappa leather of course. Like the Audi, massaging seats are available at a premium. The XC90 also features an optional beverage refrigerator, complete with a crystal tumbler. How classy! The third-row room is only slightly better than the Q7, which means it’s practical for short trips or small children only. There is more cargo room in the XC90 than the Q7, but not by much. Performance wise, the Audi definitely has the edge in handling. The XC90 is taller and has a bit more body lean. In a straight line, the T6 is a lot slower to 60 than the 3.0T Q7 at 6.4 seconds to the Q7’s 5.7 seconds. The T8 plug in hybrid is even quicker than the 3.0T at 5.3 seconds. Those are impressive numbers! Unfortunately, the T8 trim level eliminates the third row which may make it impractical for those who need the seating. We really like the new XC90, but not as much as we love the Audi Q7. The XC90 just doesn’t have the handling to excite us the way the Audi does. We encourage you to drive both and see if you agree.